This reading group guide includes discussion questions, a Q&A with author Gene Baur, and ideas for enhancing your book club. The suggested questions are intended to help your reading group find new and interesting angles and topics for your discussion. We hope that these ideas will enrich your conversation and increase your enjoyment of the book. 1. What were the larger societal trends that fostered a transition from traditional, independent farm work to factory farming? Do you believe these transitions toward factory farming are inevitable signs of progress? Why or why not? 2. Which of the animal profiles proved most memorable for you? Why? Why do you believe Baur employs the animal profile? What are his aims? Do you believe he is successful? Why or why not? 3. How does the author’s reference to animals as individuals, sentient beings, units of production, and meat impact your understanding of the power and value of labels? What do you perceive to be the primary challenge in engaging the public in reimagining the labels we attach to animals raised for food? 4. What are downers? How do Baur and his fellow advocates use their plight to spur changes at the Lancaster Stockyards? What were the gains and losses in their first major animal rights campaign? 5. What are the compelling images for you as Baur recounts the life of the animals on either Watkins Glen or the Orland, California, sanctuary? In evaluating these images, what strikes you as a departure or a new facet in your own thinking? To what do you attribute this change? What impact do you imagine it will have on your behavior, if any? 6. 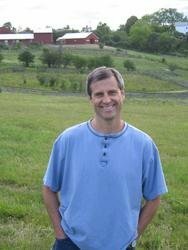 Describe what Baur calls the “bigger is better” mentality that exists in agribusiness. Do you see evidence of this mentality in other business arenas? If so, where? If not, why does it exist in agribusiness alone? What do you believe underlies the pursuit for bigger? Can this mentality be challenged successfully? If yes, provide examples of arenas where this has occurred. If not, why not? 7. What does Baur mean by the term pigmanship? How does his understanding of the value of this term evolve throughout the course of the book? What do you believe are potential synonyms for this term? 8. As we uncover the practices of meat production for a variety of animals, a clear pattern emerges across cow, sheep, chicken, and even egg production. Illuminate this pattern and the arguments Baur uses to challenge agribusiness owners’ contention that animal behavior necessitate their practices. Do you foresee a potential middle ground between these two perspectives? Why or why not? 9. Identify the natural behaviors of the following animals: pigs, cows, chickens, and sheep. Do many of their behaviors coincide with your own conceptions of these animals? Why or why not? 10. 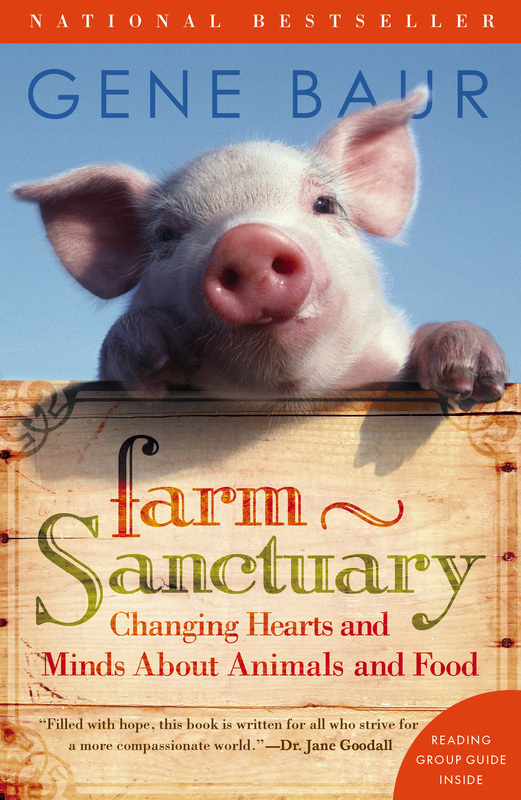 How has Baur’s own conception of sanctuary changed from its earlier incarnation at the start of his animal rights work? Why was the change necessary? As a teen, you characterized yourself as on a search for a way to integrate your life with your values. To what do you attribute your valuing of animals beyond what some may consider the norm? Were there moments when your ready recognition of animals as individuals waned or was challenged? What were the circumstances? If not, why do you believe you have maintained your valuing of animals so deeply? I have always been very sensitive and pained to see others, including animals, suffer. But growing up, I didn’t think about the animals I was eating, until one day I came home and saw a dead chicken’s body, with wings and legs, laying on his or her back, cooked for dinner. I didn’t eat meat that night or for a while afterward. Then, beginning in 1986, I began investigating hundreds of farms, stockyards, and slaughterhouses across the United States to document conditions. Since then, the reality of factory-farming abuse has been seared into my soul. Those painful images, and the wondrous transformations that occur when victims are rescued from that system, have informed and strengthened my deepest convictions. Spending time with farm animals has helped me understand and respect them as individuals. In your story about Maya, you said very little was known about animal emotions in the 1980s. How has your understanding of animal emotions changed since then? What are some of the major insights in the field? Who are some of the major researchers of animal emotions? I believe people who live with and pay attention to farm animals, including those of us at Farm Sanctuary, have long recognized these creatures’ sentience and emotions. But there has been little institutional attention paid to the topic. Most academic research has dealt with how to more profitably exploit pigs, chickens, cows, and other “food” animals, rather than on how to understand them as individuals. But that is changing. We’re coming to understand more about farm animals’ emotions and social relationships; their capacities for fear and joy, learning and communicating. Some leaders in the field of animal sentience include Jane Goodall, Marc Bekoff, and Jonathan Balcombe. As you recount the development of corporate factory farming, you highlight some of the ways that individual farmers are forced to adopt “technological advancements” that challenge individual farmers’ own best interests. How do you and others fight the presumption that mechanization or technological innovation is an inevitable rite of passage for progress? I think we need to carefully assess what is meant by progress. Too often, agribusiness measures progress in terms of shortsighted financial gains, commonly at the expense of broader concerns (animal welfare, environmental and economic sustainability, and human health). We need to look at the whole system, with all the related costs and benefits. I think innovation and change, which could include new technology, are natural and inevitable, and they can be positive as long as all the impacts are understood and accounted for. I believe innovation and creativity can help us produce healthy food in an efficient, ecologically sustainable, and compassionate way. You wrote about the unsuccessful campaign to pass the Downed Animal Protection Act and suggest that the creation of Humane USA will help redress some of the challenges you and others encountered. Can you expound specifically on the lessons you learned from that campaign? How do you think Humane USA can remedy some of the problems the campaign encountered? Humane USA is a political action committee that is involved in the election process. It plays an important role in supporting animal-friendly legislators and it makes accountable those who hinder the enactment of laws and policies to prevent cruelty. Lawmakers will now face consequences for their actions. When you look at the success of passing 599f in California, the foie gras battles in California and Chicago and other cities, and Proposition 10 in Florida and Proposition 204 in Arizona, what convergence of factors made these successes possible? What challenges/barriers still exist in ensuring these and other legislative measures continue to be effective? In all these cases, a clear abuse was identified and made known to a large number of citizens, a simple remedy was proposed, and mechanisms existed for legislation to move forward. In the case of 599f in California and the foie gras laws in California and Chicago, we had strong leadership who worked hard to advance their proposals through the legislative process. In Florida and Arizona, we were able to place issues on the ballot through citizens’ initiatives, and in each case, a solid majority voted to ban cruel farming practices. We’ll continue working to advance similar measures in the future, and I believe we’ll continue to have success. Among the greatest challenges we face is the wealth and entrenched influence of factory farms who profit from current system, and unwitting consumer participation, apathy, and a tendency to go along with old habits without questioning the status quo. When I was growing up veal was a dirty word even as we continued to eat lots of other meats. Do you foresee some meats more than others acquiring a tainted image similar to that of veal? Which ones and why? Do you believe it’s possible for the meat industry to rehabilitate the image of veal? Why or why not? I think veal became a dirty word because people were made aware of how calves are treated to produce it. Other meats are the result of similar cruelties, and also deserve a tainted image. I believe most people would be appalled to learn how chickens, turkeys, pigs, dairy cows, and other animals are treated to produce meat, milk, and eggs. There will likely be efforts to market veal and other meats as “humane,” but these claims should be questioned. Do the words humane and slaughter fit together? Based upon your experiences as a student at Cornell, you noted how other students became increasingly desensitized to the plight of animals and took on the values of agribusiness throughout their tenure. How would you rectify this situation if you could have a hand in crafting your own undergraduate or graduate education experience for students? I think students should be exposed to different points of view, and encouraged to think about whether it’s appropriate to subject farm animals to certain conditions. Common assumptions, including the idea that animals are here for our purposes, or that it is healthy and appropriate to slaughter and eat them, should be discussed. What are the emerging issues in animals’ rights in terms of food production for the next ten to twenty-five years? How are you and fellow advocates engaging young people, so they can continue to fight for animal rights in the coming years? What are the issues that seem most compelling for young people? Increasingly, I think there will be fundamental questions raised about humans’ role on earth and if it’s appropriate to treat other animals the way we do, including whether we should exploit them for food. As part of Farm Sanctuary’s efforts, we are reaching out to students in schools through our humane education program. We also distribute literature, videos, and other educational materials and host various youth events at our farms. Young people seem to have a natural connection with animals and an inherent understanding of their sentience, qualities we hope to nurture and support and propagate. What is your vision of the best food production practices in the United States? Can you identify foreign models from which we might take inspiration? I envision a local, diversified, veganic farming system where food is produced by many gardeners and farmers in both urban and rural settings without using any animals or animal products. In cities, food would be grown in community gardens, as well as on rooftops and on windowsills in apartments. In suburban areas with more land, fruit trees and edible landscaping could supply fresh fruits and vegetables. And the rural countryside would be dotted with small farms producing food primarily for local populations. Historically, people around the world have been closely connected with the land—growing food on community-based, diversified small farms. I’d like to see a return to that kind of farming system, along with techniques like canning and other methods, some traditional and some new and innovative, to add value and provide food beyond the growing season. If you could encourage readers to take one specific action to aid in animal rights as it pertains to food or meat production, what would that action be? What do you believe would be the potential consequences of this act? The single most important action each of us can take to aid animals and promote a healthy planet is to become vegan. By choosing not to use animal products (e.g., meat, dairy, eggs, wool, leather, etc. ), we do not support and enable industries that exploit other animals. When citizens make conscientious choices and eschew animal products, businesses will make adjustments to meet consumer demand. A shift toward a plantbased food system would bring about vast, positive impacts. Animals wouldn’t be exploited, consumers’ health would improve, fewer resources (e.g., land, water, fossil fuels) would be expended, both urban and rural communities would be improved, and it would even help arrest global warming. Your PSA can either be in the form of a storyboard, a series of drawings that illuminate exactly what would appear on the television screen for a thirty-second advertisement or a print ad that could be easily found in a magazine or your local newspaper. Consider the most effective PSAs you have encountered in your lifetime or from the above sample web sites and you will see that they grab their viewers’/readers’ attention, promote a specific course of action, and provide relevant facts about their particular issue. Similarly, your PSA should do the same for the idea of pigmanship. - Which ad presented the clearest idea of pigmanship? - Which ad presented an action that can be easily done by the public? - Which ad allows the viewer/audience to emotionally connect to pigmanship? - Was there general consensus among the ads? If yes, why? If no, why not? - What were the most surprising, yet revealing interpretations of pigmanship? 2. Create a vegan spread for your reading group meeting using some of the recipes listed below from www.vegforlife.org as recommended by Gene Baur. Combine all ingredients in a food processor or blender. Then season to taste with salt and pepper. Preheat oven to 350 degrees. Boil macaroni in water until just underdone; drain in colander. Run cold water over macaroni to stop cooking. Blend tofu and soymilk in blender or food processor until smooth Add tahini, nutritional yeast, turmeric, and salt; mix until smooth. In a large bowl, stir together macaroni and “cheese” sauce. Place mixture in lightly oiled ovenproof casserole; top with pats of margarine. Bake until golden and bubbly, about 20 minutes. Makes 10 servings. Per Serving: Calories: 277, protein: 11 g, carbohydrates: 36 g, cholesterol: 0, sodium: 363 mg, fiber: 3 g.
Place the textured protein in a small, heatproof mixing bowl and pour the boiling water over it. Mix well and set aside. Fill a 4 ½ -quart saucepan two-thirds full with water. Bring the water to a rolling boil, and cook the pasta in it until it is al dente. Drain the pasta well and return it to the saucepan. Cover the saucepan with a lid and set it aside. Meanwhile, heat the oil in a 2-quart (or larger) saucepan over medium high heat. When the oil is hot, add the onion and garlic and sauté them for 10 minutes. Then add the mushrooms and rehydrated textured protein (from the first step), and sauté them for 5 minutes longer. Stir in the remaining ingredients, and bring the sauce to a boil. Reduce the heat to medium-low, and simmer the sauce uncovered for 15 minutes, stirring occasionally. Pour the sauce over the reserved pasta in the saucepan (from the second step). Toss them together well, and serve at once. In a small bowl, mix together the cane sugar, brown sugar, margarine, oil, water, and vanilla extract until smooth. Add to the flour mixture in the large bowl and stir to combine. Add the chocolate chips and nuts and stir. Drop by the teaspoonful onto an ungreased cookie sheet. 3. Using the examples of animal profiles in Farm Sanctuary as a guide, create your own version of an animal profile complete with picture to share with other members of your reading group. - Who is the animal in your life? - What are his/her unique qualities? - Describe the circumstances under which s/he came into your life. - What lessons has s/he taught you? - What specific emotions do you believe s/he has demonstrated to you? To others? - What kinds of relationships does s/he have with other animals? - How does s/he communicate her/his needs? If you do not have an animal in your life, identify a friend or associate who has one in his/her life. Interview this friend/associate and create a profile of his/her significant animal. Encourage reading group members to display their profiles on a viewing wall prior to the start of the meeting. During a break, peruse other members’ animal profiles. Discuss the impact of writing your profile and reading others’ profiles. Did members see their own animals differently as a result of writing the profile? If so, in what ways? If you profiled a friend’s animal, what was that process like? What did you take away from the writing of the profile? What new insights did you gain about your friend? About their animal? What will members take away from doing this exercise? "Factory farms subvert democracy and are some of the nation's worst polluters. This book shows how they also treat animals with unspeakable cruelty. Farm Sanctuary is a compelling testament to the need to civilize this industry and end its radical practices for producing meat, dairy, and eggs." -- Robert F. Kennedy, Jr.